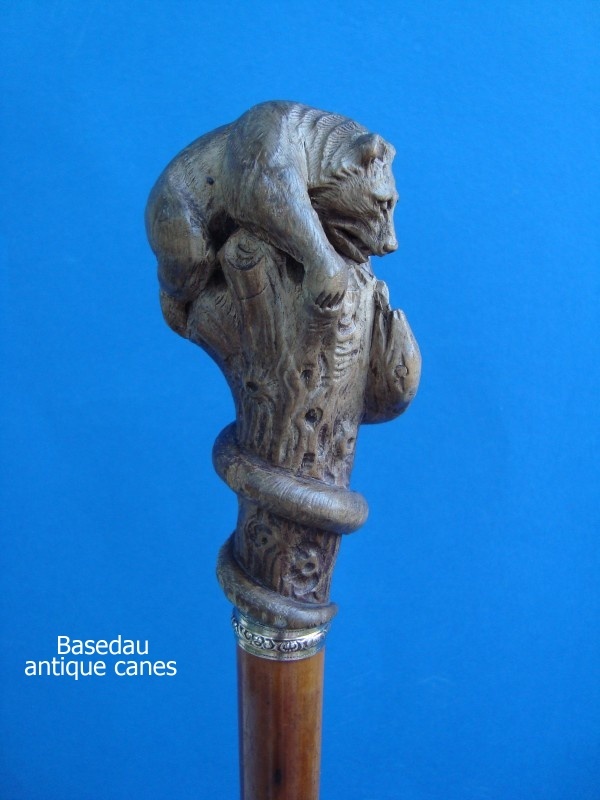 Antique walking cane, second half 19th century, with a wood handle carved as bear and a snake. 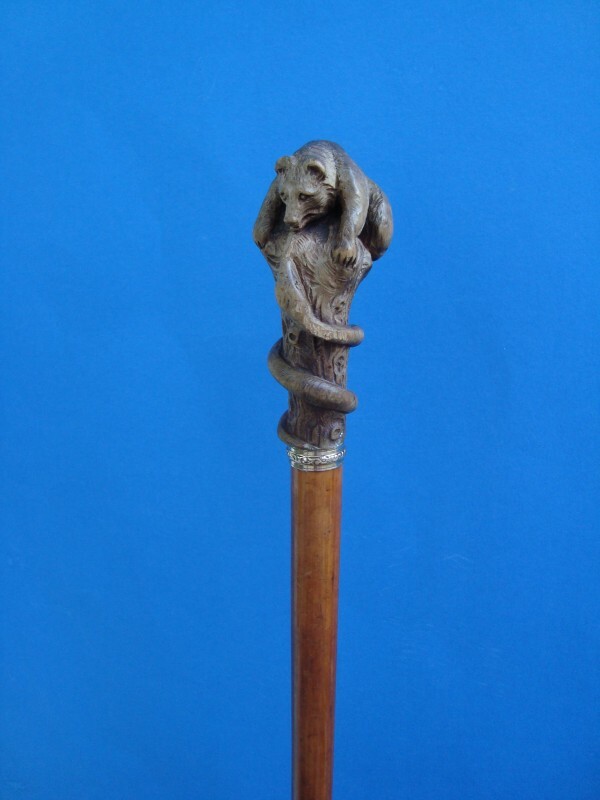 The handle is fitted on a gold collar and a malacca cane with a metal ferrule. 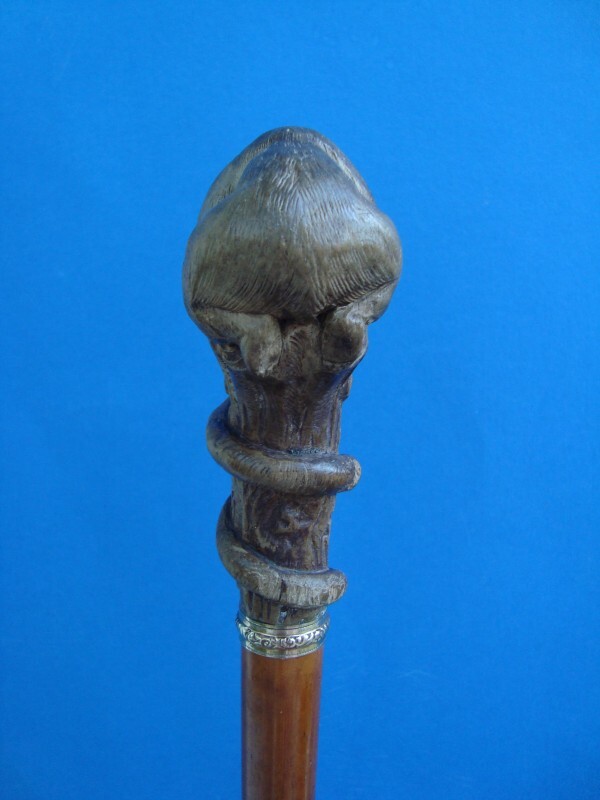 Measures of the handle: H. 9,5 cm, 3,7 ", W. 3,5 cm, 1,4 ". 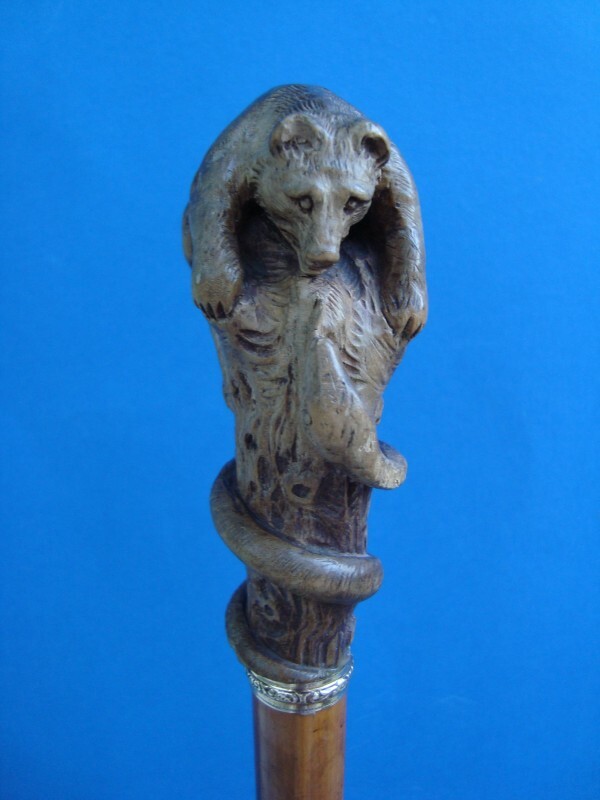 overall length. 89,5 cm, 35,2". 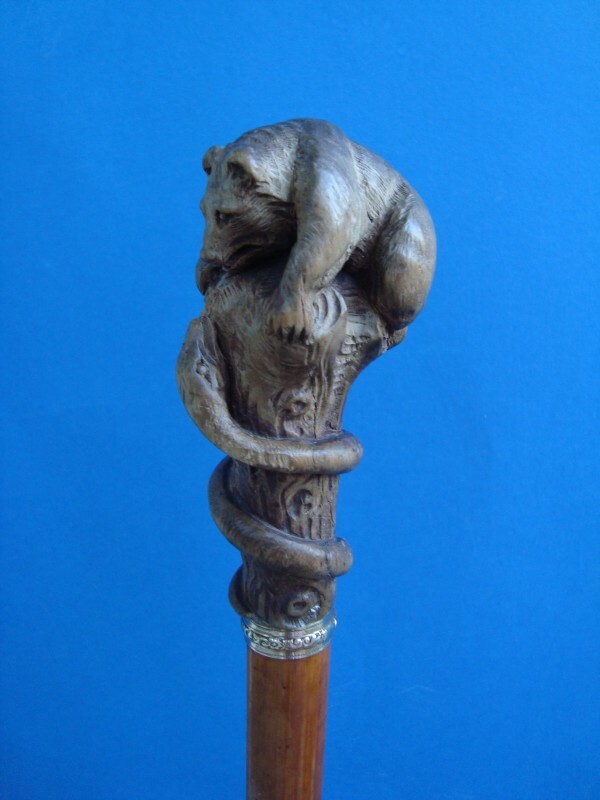 Provenience: Carl Friedrich August baron von Burgk, Freital Sachsen.